Physicist Dr. Amy Levine has discovered a mathematical sequence–the Colorado Sequence–that describes an underlying pattern and a guiding force within the very fabric of reality. Now she's on the verge of an astonishing breakthrough, and the U.S. government wants to know how she has done it. How has Dr. Levine learned to accurately predict the future? And they're willing to kill her to find out. Levine and a group of friends escape to Colorado to unravel the mystery of the sequence, but there they become snowbound. They must locate a secret treasure room, find a hidden key, and answer an ancient riddle before a devastating eruption destroys them all … and the power of the Colorado Sequence is lost forever. We will send The Colorado Sequence to your Kindle at . 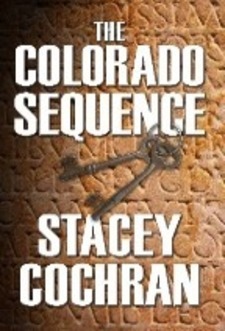 The Colorado Sequence has been sent successfully to your Kindle!